A godly deacon is a great asset to the work of God. His servant leadership benefits the entire church family, and his support and care for the pastor is invaluable. 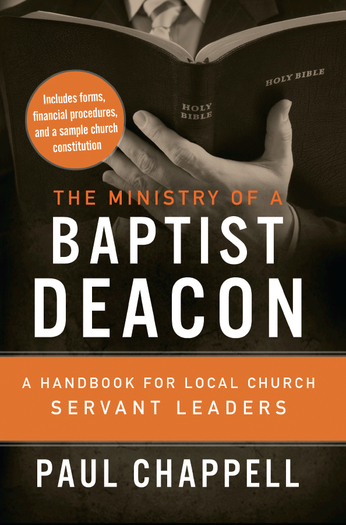 The Ministry of a Baptist Deacon is written for local church deacons who desire to invest themselves in the work of God and give themselves to the service of God’s people. It is designed as a handbook to equip deacons as servant leaders. This two-part manual scripturally defines the office and responsibilities of a deacon as well as providing practical helps for local church ministry. This book also includes several appendices with sample forms, financial procedures, and a sample church constitution.